A new sculpture commemorating the first man in space will be unveiled in the British capital on July 14. Early on the morning of Apr. 12, 1961, Yury Gagarin’s Vostok 1 capsule lifted off from the Soviet Union’s Baikonur Cosmodrome Site. 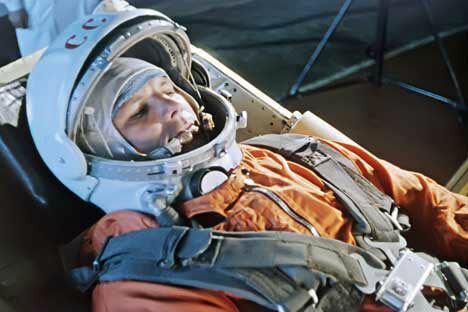 Returning to earth 108 minutes later, Gagarin was instantly catapulted into the spotlight: His mission had earned him worldwide fame as the first man in space. The statue is a gift from the Russian Space Agency and is an exact replica of a monument that stands outside the Lubertsy Vocational School, where Gagarin studied between 1949 and 1951. It will be unveiled by Yelena Gagarina, the cosmonaut’s eldest daughter, on July 14—50 years to the day that Gagarin was formally welcomed to the UK by then-Prime Minister Harold MacMillan. The statue will remain on display in the British Council Plaza for an entire year. As part of a broader series of cultural events to mark the anniversary of Gagarin’s space flight, the British Council will also host an exhibition on the early years of the Soviet space program. Beginning on July 14 July, rare photographs of Gagarin borrowed from family members, original footage of training for the Vostok project and onboard equipment from the first manned space mission will all be shown for the first time in the UK.